Fiery passion, shocking secrets, and a compelling, vulnerable heroine in peril have made Jane Eyre an enduring favorite. When Jane becomes governess at gloomy Thornfield Hall, she falls deeply in love with the brooding, tormented Edward Rochester–and he with her. But soon Jane realizes that the house holds terrifying mysteries. What is Rochester hiding from Jane? Will their smoldering relationship survive–or will Jane be left heartbroken and exiled? Jane Eyre is one of those books that I’ve always planned to read ever since I said I’d read more classics, but of course, never got around to because there was no immediate reason for me to read it. I was also very wary about how much time I would have to invest with this, knowing how dated the language of classic books can be, and its length. With all the books waiting on my TBR pile, and the slowness of my reading pace lately, do I really want to read a thick classic book? But alas, I had to read Jane Eyre because, as I mentioned a couple of days ago, I was assigned to be a moderator for my book club’s fourth monthly book discussion. As someone who likes grabbing an excuse to do things, I took this chance to finally get cracking on this hefty volume. I want to do a good job on moderating the discussion, so I wanted to get this right. Jane Eyre is an orphan, and she lived with her aunt and cousins for the past first ten years of her life. She hated living there as she was often maltreated by her aunt and cousins, so when she was finally given a chance to go to school, she takes the chance without looking back. Her years in the Lowood boarding school taught her much and prepared her for her job as governess at Thornfield Hall. But even with all these, none of these really prepared her for meeting (and eventually falling in love with) her employer, Edward Rochester. I was surprised at the readability of Jane Eyre. It was very easy to get into the prose and even if I wasn’t able to read a few pages on several days because I was too busy, I was able to dive back in to the story without having to read back a couple of pages (or worse, read right back from the start, like how I was during the first time I read Pride and Prejudice). Jane was very easy to like and her point of view was such a pleasure to read, her thoughts showing her as a pretty independent and mature woman for her age. It’s not fluff, but I can’t really call it dark either because I never felt that it wasn’t even with all the references to the silent manor and the weather and all that. Sorry I couldn’t drop by the Jane Eyre discussion, looks like you guys had a great time. I remember reading this one because I was curious about April Lindner’s retelling, Jane. 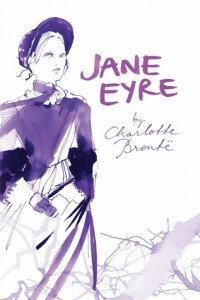 I don’t know why but I missed reading Jane Eyre back when I had a classics phase.